- Full Refund will be given if the cancellation is made 22 days or earlier prior to travel date (lean season) and 41 days or earlier prior to travel date for the peak season. Lagùn Hotel allows children up to 6 years old to stay for free using theexisting bedding. Baby cribs are complimentary upon request and subject toavailability. Allroom rates are good for 2 persons. Any additional person in the room using existing bed setup is subject to extra person charge. Children from 7 to 11 years old are subject to PHP1,000 per night. Children above 12years old are considered adults by the Hotel and are subject to extra person charge of PHP1,800 per night. This is to cover accommodations and breakfast. The Hotel allows for extra bed, depending on the room configuration. Please do inform us ahead of time so we can prepare the room for your arrival. 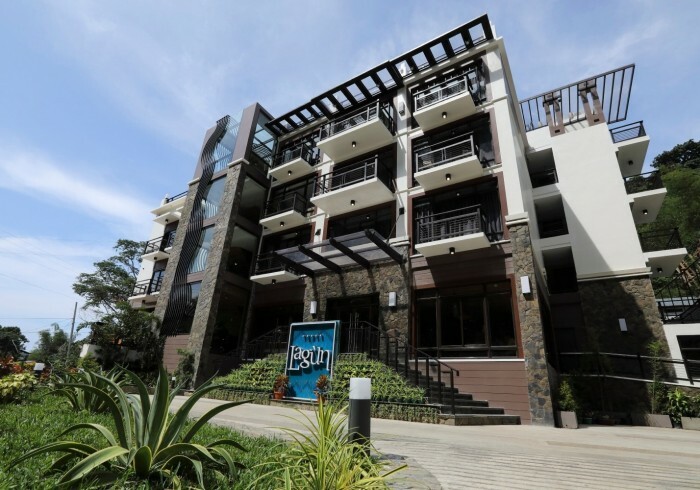 Extra bed is chargeable PHP500 per night and is billed on top of the Extra Person Charge. Incidental deposit of PHP5,000.00 per room will be required from the guests upon check-in,either via cash or credit card. Any unused amount will be refunded upon checkout. SMOKE-FREE HOTEL. Lagùn Hotel adheres to the No Smoking Policy in El Nido. As such, we charge PHP8,000 for any violation of said policy. DAMAGE TO HOTEL PROPERTY. The Hotel reserves the right to charge guests the cost of rectifying damage or soiling, caused by accidental, deliberate, negligent or reckless act of the guest to the Hotel's property or structure. SAFETY DEPOSIT BOX. Guests are encouraged to keep their valuables in the in-room safe or in the Safe Deposit Box provided at the Front Desk. The Hotel shall not be liable for the loss of money or other personal valuables during your stay. Lagùn is El Nido Town’s premier boutique hotel. Its distinct style forward design, first-class amenities, and warm Filipino service, make Lagùn your preferred hotel in El Nido. 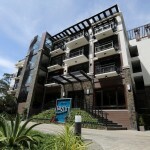 It has 37 spacious and well-appointed rooms, ranging from 26sqm to 32sqm, including a PWD (Person With Disability) Room. The hotel can accommodate a maximum capacity of 150pax. Guests can relax in the roof deck with infinity pool, sip their favorite drink like fresh buko (coconut) juice and enjoy the view of the islands and El Nido Bay. While lounging by the poolside, one may even chance upon the Talusi (Palawan Hornbill) which flies to and from its home, the Taraw (limestone cliff) situated right in front of the hotel. The Spa Room is also available for those who are wishing for some pampering. Lagùn Hotel is strategically located at the heart of El Nido—conveniently close enough to the town’s hubs and shoreline, yet just the right distance from the busy downtown street. With service that speaks of authentic family hospitality, you can come home to comfort and style at Lagùn Hotel, again and again.